We believe that marriage is the most important covenant here on earth. Some marriages are good. Some marriages are great. Some marriages are just hanging on. Whatever category your marriage falls into, we want to support you and your spouse in your journey. Join us at Trinity Worship Center, February 15-16. Conference will be 5:30-9:00pm on Friday and 9:00am-3:00pm. 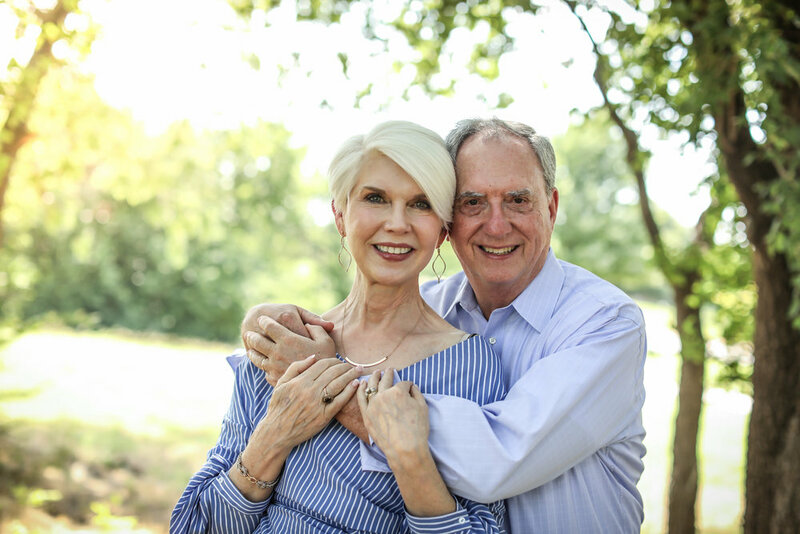 Lou and Becky Shirey are passionate about encouraging people to embrace the abundant life Jesus offers, to discover the joys of knowing and praying God's word, and to multiply inﬂuence by investing in the next generation. Part of Lou and Becky's personal testimony includes a ﬁve-year period in which God led them on an adventure in faith. With household goods in storage, they loaded a few personal items in their car, and set out to follow His lead. Their journey answered their prayer, "Lord increase our faith, and do whatever it takes!" Lou served 26 years as an Army Chaplain. He now leads World Intercession Network and directs the Department of Clergy Development for the International Pentecostal Holiness Church. He earned a Doctor of Ministry Degree from Asbury Theological Seminary. His dissertation focused on pastor burnout. Becky served as an advisor for Protestant Women of the Chapel International (women’s ministry in military chapels) from 2006-2010. She previously served PWOC at the regional and national levels. Becky is a frequent speaker for retreats and conferences. She has spoken at venues across Europe, in Central America, Asia, and throughout the United States. Her writings include articles for Prayer Connect Magazine, Experience Magazine, The Upper Room, and Adult and Student Bible Study Curriculum for One Accord Publications. She is a contributing author to Chris Maxwell’s book, Pause for Moms. Lou and Becky serve on the presenter team for Galatians 6:6 Retreats for ministry couples, and More than Married Retreats for church congregations, both sponsored by Great Commandment Network. They also serve on America's National Prayer Committee and the Denominational Prayer Leader's Network. They’ve been married for 48 years, with 3 grown children, and 9 grandchildren. Although they have moved 39 times, they now call Edmond OK home. This will be a marriage enrichment event using Intimate Encounters material. Couples will learn how to identify relationship needs such as attention, affection, and respect; learn to emotionally care for one another; strengthen oneness in spirit, soul, and body; resolve painful emotions such as hurt, anger, guilt, and communicate honestly and lovingly.